With inflation going up the price of the dollar keeps fluctuating so the act of keeping your savings in a bank is decreasing daily… Why not put your money into something safer like precious metals, especially GOLD! 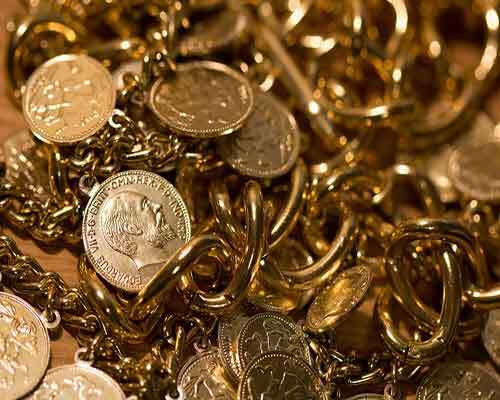 Buying Gold from Covina Coin & Jewelry in Los Angeles California can increase your wealth and hedge your savings in a safer place. It’s never been easier to buy gold in Los Angeles, California. Covina Coin and Jewelry offers everyone the most competitive pricing with the best customer service! One of the most popular gold dealers in Los Angeles, California, Covina Coin and Jewelry can answer all your questions about Gold Coins, Gold Bullion, Gold Bars and More. Make sure you give the friendly professionals here at Covina Coin & Jewelry next time you’re looking to buy Gold in Los Angeles California.